Thanks to the efforts of a NGO called Skateistan, girls growing up in cities like Kabul and Mazar-i-Sharif in Afghanistan are learning how to skateboard and finding a rare sense of freedom on the ramp. In Afghanistan, skateboarding has evolved into more than a just leisurely pastime for the country's youth. It's a community-building force that has become embedded in many kids' daily lives, an incentive to build leadership skills and gain a formal education, an investment in their future and a testament to equal opportunity. In cities like Kabul and Mazar-i-Sharif, the sport has taken on these pivotal roles largely thanks to the efforts of Skateistan, a non-profit organization committed to building leadership and community through skateboarding, arts and academics. The NGO began in 2007 when Australian skateboarder and researcher Oliver Percovich traveled to Kabul to visit a former girlfriend who was working there. He brought three skateboards and immediately noticed how they acted as social equalizers wherever he traveled. The Afghan boys and girls flocked to his unfamiliar wheeled toy with a special fervency, finding freedom with each ride. A community — spanning socioeconomic standing, ethnicity and gender — began to form around this shared interest. With half of its population under the age of 16, Afghanistan's future depends on the resilience of its youth. But with minimal resources or opportunities, these children and their communities are at a deep disadvantage. Poverty dominates the country. 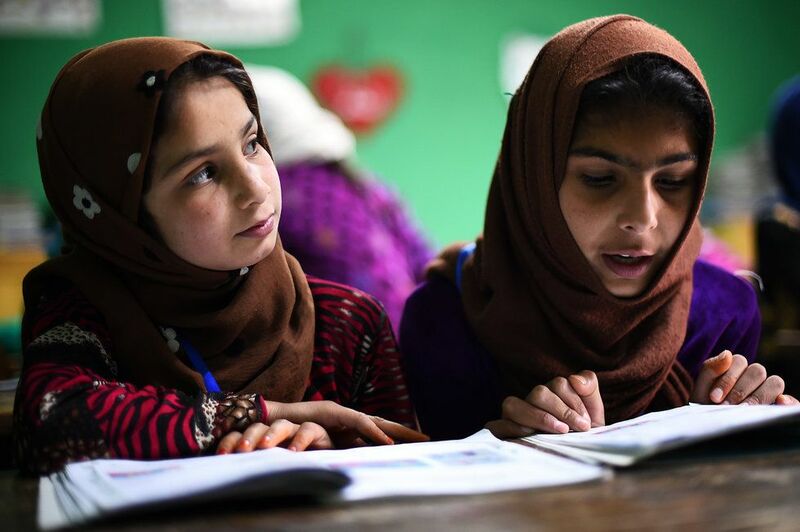 The Taliban years destroyed the educational system, leaving only 13 percent of women with literacy skills. Girls in Afghanistan are also discouraged from participating in sports, further removing them from the public sphere. But skateboarding, which is not considered a sport in Afghanistan, provides girls with the benefits of playing a sport — such as teamwork, exercise and leadership — without the stigma. In 2010, three years after the establishment of Skateistan, 40 percent of skateboarders in Afghanistan were girls. Today over 50 percent of Skateistan students are female, with Afghanistan having the largest percentage of female skateboarders in the world. Skateistan's first flagship school was built in Kabul, where students develop critical thinking tools and modes for self-expression spending their days in the indoor skatepark, classrooms and gym. Afghanistan's third largest city, Mazar-i-Sharif, is the home of Skateistan's second and biggest skate school (they also have locations in Cambodia and South Africa as well as a headquarters in Berlin). In addition to co-ed programming, both schools provide specific girls-only days with female educators. An interactive curriculum helps them grow and prepare for the future, weaving together subjects like nutrition, the environment, cultural studies, art and human rights. Students are encouraged to stick with Skateistan's program through adolescence and beyond; many of the organization's Youth Leaders are former students. Afghan staff and volunteers also play a crucial role in conducting programs. "Skateistan is led by the students," Percovich said in a 2014 TED Talk. "Aid should be based on caring and respect, not pity."